Sie haben eine Frage zum Lane Xang Hotel? Die in der Region Nahe des Flussufers überaus günstig gelegene Unterkunft "Lane Xang Hotel" ist die ideale Basis, um in Vientiane auf Entdeckungstour zu gehen. Das aufregende Stadtzentrum liegt lediglich 0.4 km weit entfernt. Für Besichtigungstouren und den Besuch lokaler Attraktionen müssen Sie nicht weiter suchen. Die Unterkunft liegt in unmittelbarer Nähe folgender Sehenswürdigkeiten: Wat Chan Tempel, Wat Ong Teu Mahawihan, Mekong Riverside Park. Das Lane Xang Hotel bietet zahlreiche Einrichtungen, um Ihren Aufenthalt in Vientiane so reichhaltig wie möglich zu gestalten. Die Unterkunft stellt Gepäckaufbewahrung, öffentliches WLAN, Parkmöglichkeiten, Zimmerservice, Flughafentransfer und weitere Einrichtungen zur Verfügung, damit sich die Gäste so richtig wohl fühlen. Die auf 5 Etagen gelegenen 110 Zimmer bieten dank moderner Annehmlichkeiten wie zusätzliche Toilette, Spiegel, Handtücher, WLAN, Nichtraucherzimmer etc. ein gemütliches Heim abseits von Zuhause. Den ganzen Tag über können Sie die entspannte Atmosphäre der folgenden Einrichtungen genießen: Garten. 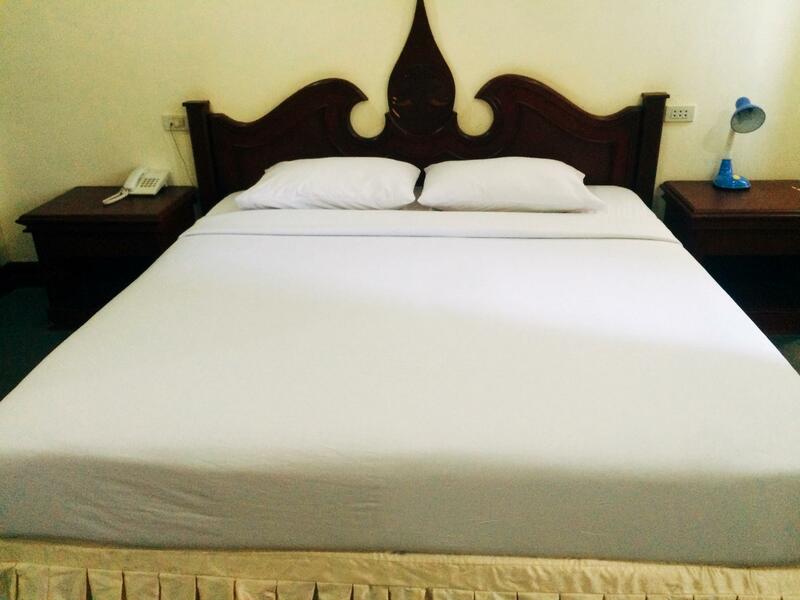 Die exzellenten Einrichtungen und die fantastische Lage machen das Lane Xang Hotel zum perfekten Ausgangspunkt für die Erkundung von Vientiane. Starting to show signs of ageing and definitely needs updating. Breakfast was fair and location is good. Value for money fair. 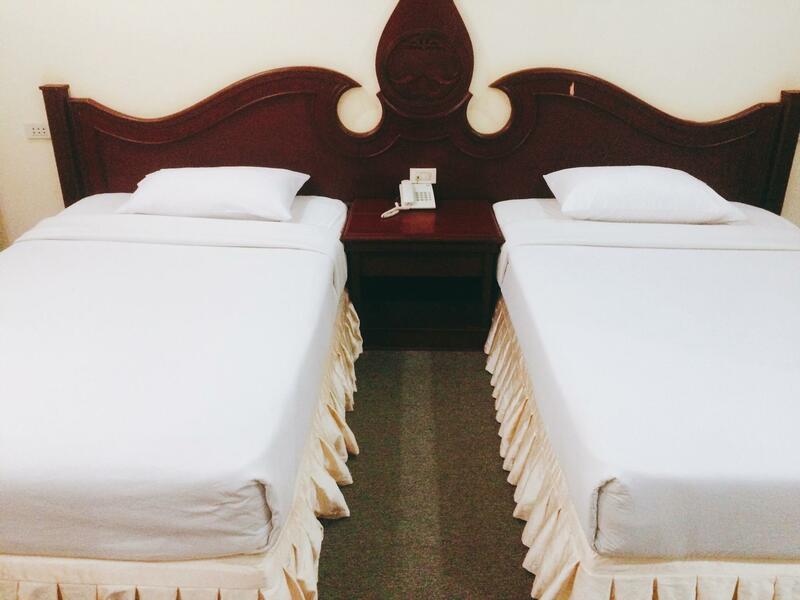 Twin rooms are much more spacious than the double rooms. Hotel cancelled my already confirmed booking on the last night of my stay which was unacceptable. There are better options in riverfront area. Filthily hotel. Rude staff. And no extras. Worst experience of our entire 3 month trip. This large hotel looks like an old style government hotel of communist country. 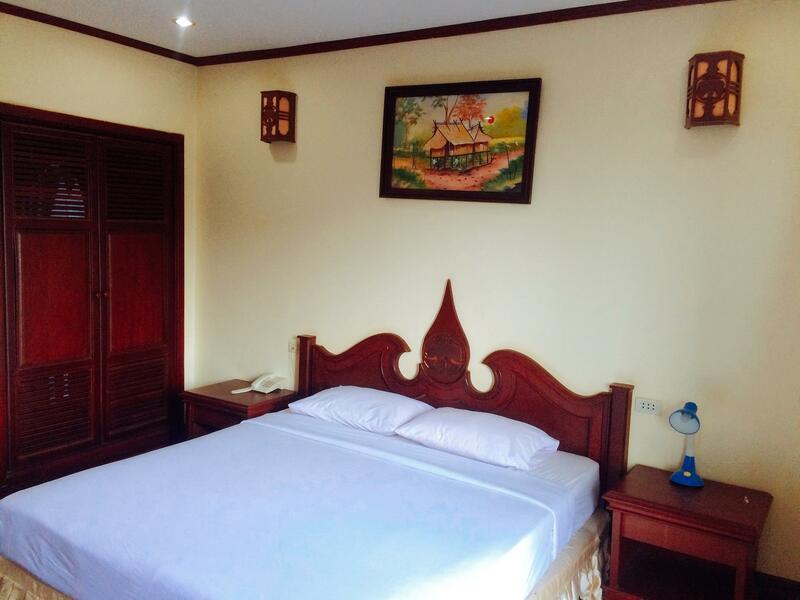 It offers a perfect location along the Mekong close to Wat Phra Kaeo, presidential palace and fountain. It also has a large parking if you come by car, which is important in Vientiane today. 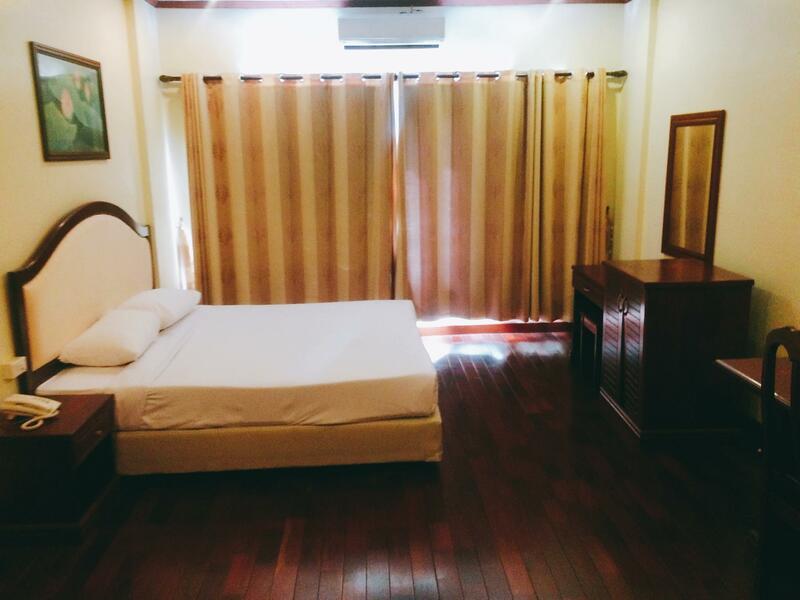 We booked a Deluxe Double Bed room, which offers a view on the Mekong. The room is reasonably equipped, but a large stain on the carpet and a water leak don’t give a good impression. Beds are too hard for us, but it’s not a major problem. There was a problem with the booking since they told us that there was no booking for that day. Fortunately, I printed the Agoda Voucher. After a while, they gave us room, but I had the feeling that they were not too happy to have more customers. Fortunately, the people who take care of the breakfast are friendlier than those at the reception. As a summary, a good place for a stop in Vientiane especially if you come by car, but not a charming place. Bad service, I booked via agoda, but I arrived there hotel informed that they not get confirmation from agoda yet. I need to pay again in hotel front. After I back to my country I contact to agoda and do refund that I paid before. For room was very old and not clean. It is becoming a old hotel, but location wise very nice, close to Mekong River. The hotel should be renovated as soon as possible, but retaining its local style and culture. The location of the hotel is very good, the rooms should be refurbished and the wifi is free (if it is working). The Lane Xang was very disappointing to say the least. We stayed for sentimental reasons only. The air conditioning broke down in our first room, and was noisy in the second. The plumbing didn't work very well in the either so ran out of warm water. The internet worked only about 10% of the time. The sheets were dirty and the drapes torn. You had to ask for extra toilet paper and towels. On the last morning I had booked a wakeup call and a taxi to the airport. Both failed to eventuate. The breakfast food buffet was very limited and the same each day. Looking around there is much much better to be had in Vientiane for this pricing and needless to say we wont be ever returning. stayed in this hotel 10 years ago and it was dated then and little has changed from the outside, however it appears that some modernisation has started for our bathroom had obviously been updated and there were good lifts in the hotel. Staff were however not particularly helpful or welcoming and breakfast often was low of items and no care to replenish. The room we eventually got was fine for the baby after we had them fix the window which didn't shut properly and the baby could easily have fallen out off - not great from the 4th floor. Overall OK though. The hotel seems have a bit of a run down appearance but is really rather good value and possesses great character . 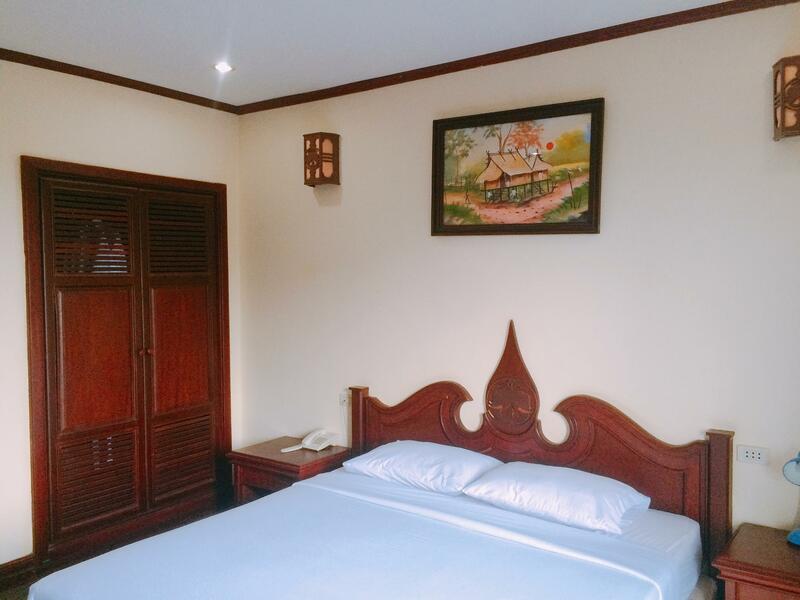 Rooms are large with nice wooden floors and comfortable beds. 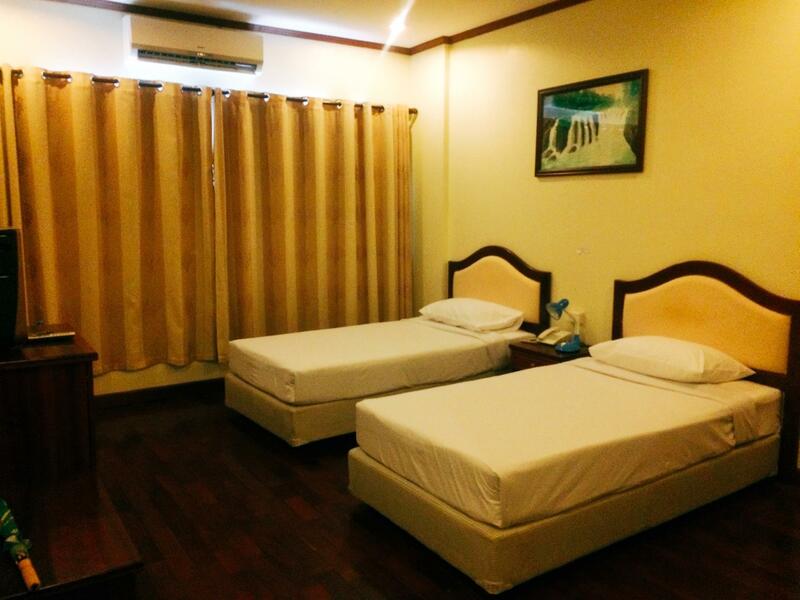 It is not a backpacker place, for instance, it was full of Lao government official staying there on my first day. The staff are very helpful and accommodating. I think the one area that can be improved is the buffet breakfast which should be more of a showcase for the superb Laos coffee , French style baguettes and rice dishes. These were there but not as delicious as the can be . I had to walk up the road to a local shop to have a freshly warmed baguette with cheese, or pate or omelette for just over 2 US $ . Замечательный отель, через дорогу парк и набережная Меконга, рядом совсем много храмов и пагод - основной Ват Сисакет. Также по главной улице в сторону монумента независимости с правой стороны расположен маркет - рынок обычный, по авеню Lane xang, а за ним супермаркет цивильный. Если перед торговым центром свернуть направо, то попадете в типичную жизнь Лаоса, торговцы все чем попало))) Также поодаль строится по всей видимости корейцами настоящий торговый центр, надеюсь через год будет функционировать. Цены указаны все в местной валюте, но и от долларов никто не откажется. Можно съездить в Таиланд город Нонгхай, через мост Дружбы, который расположен в 40 км от Вьентьяна - цена вопроса в оба конца на комфортабельном такси 30 дол., на тук-туке 15-20 дол. Довольно чисто на улицах, транспорт организован. До аэропорта от отеля дошли за час пешком, при этом рассматривая попадающиеся по пути храмы - расстояние 5 км, не более. Люди тоже более отзывчивые и ненавязчивые. 대체적으로 만족하여 다음에도 이용하고 싶음.